If you are trying to keep cool on a long trip in Brisbane without always having the air conditioner on, there are certain things you can do to help this. With Australia being such a hot place, you may find it difficult to stay cool in the car. With the sun’s rays beating down on the hood of the car, it can easily cook up the interior of any vehicle. Even if you are driving in a gusty wind, you’ll still feel the heat. This can quickly leave individuals to be in a bad mood since their comfort level is decreasing. Because of this, it is important that you try and do your best to help your family. You can do things like bringing some a few spare towels, an ice chest, icy water, and more. 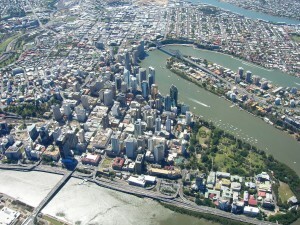 Actually, today we’ll give you five different ways on how to keep cool on your long trip in Brisbane. Affordable brisbane rental cars that are modern can easily be found to make a good start for your cool trip. Since you are already in Brisbane, the best thing to do is take a short trip to the nearest beach or pool. Let your family have twenty minutes in the pool before your trip. Don’t let them try off in the sun. Instead of doing this, suggest that your kids and wife wear clothing that is very light. Allow them to go in their car with their hair wet because this will make them feel much cooler. It will also give them an extra 15 minutes of not being hot since this is the time it takes to cool down. Before you even think about going on a trip, get an ice chest and a huge bag of ice. Fill it sparingly but not over the top because you don’t want it spilling in the car. You can put a few small hand towels over the ice chest. This way your family can dip the clean hand towels into the ice chest and wipe their face or arms with it. They will feel extremely cool. For the best results, try rolling down the window to catch some air after they do this. A gust of air against a cold arm will give an even colder affect. How about bringing a fan with you? We don’t just mean a paper fan you make. You know those huge oriental fans that have tiny creases to create a huge gust of air. These will cool you down in no time. While we don’t recommend using one of these while driving, you can always have the person next to you try and fan you. Since these fans are rare, it is best to purchase them online because you won’t be able to find them at regular retail stores. One of the most basic ways to stay cool is with water. Not just any bottled water. We are talking about ice water. The trick is to leave your bottled water in the freezer for at least five hours. You can use it to place it on your forehead, cheeks, arms and even the legs. The ice water will be dripping off the bottle as it begins to warm up. You can enjoy this ice water until everything has melted but this will usually take an hour and a half which is plenty of time when it comes to a car trip in Brisbane. Posted on 18/05/13 at 10:16 am	in Brisbane, Brisbane Site Seeing, Places To Go, Travel. Follow comment RSS 2.0 feed.